FSS: Tell a little about the work you do in the studio. 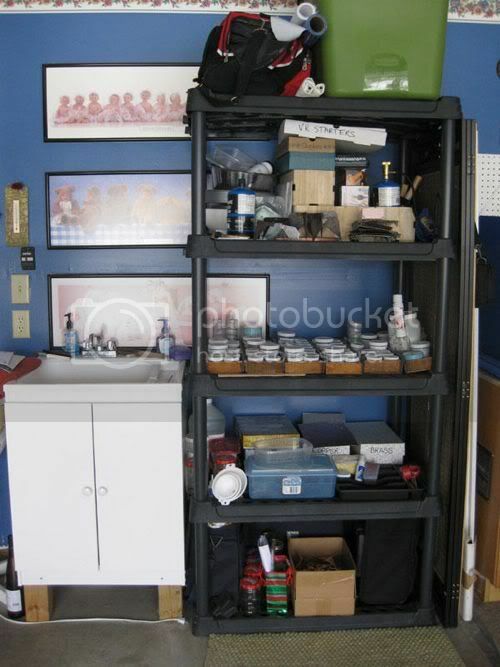 FSS: Did you have a specific inspiration when organizing your space? EB: Thought did go into the conversion of half of Evie’s garage prior to jumping in. 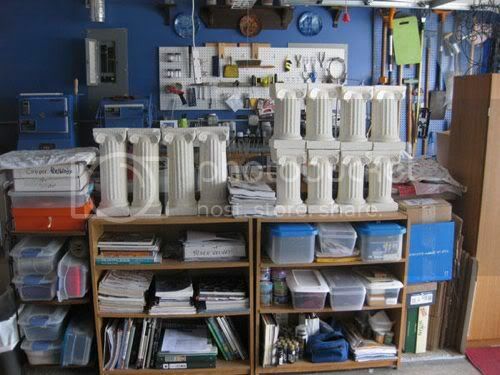 Accommodating an eight foot table for the torches, cabinets for storage and work surfaces, lighting, exhaust, oxygen and propane tanks, kilns, shelving, etc., took some planning and then revising as more was added. 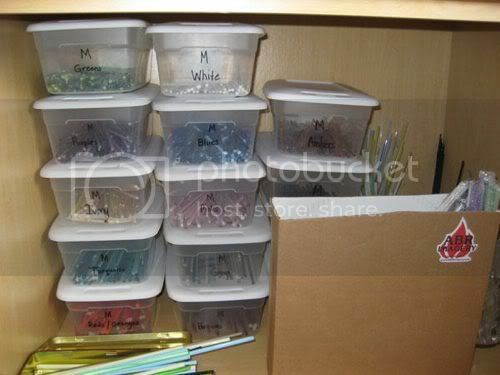 Because of compatibility issues of the different media, keeping supplies in separate areas and labeled was key in organization. FSS: Name one ( or more) things that work especially well for you? 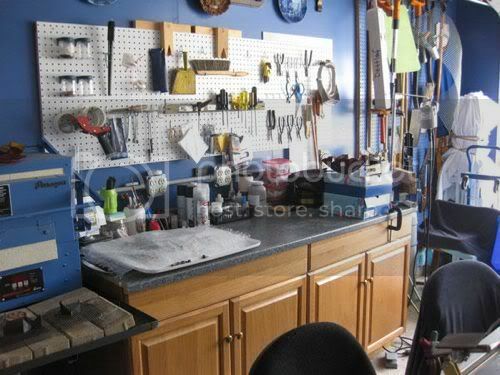 EB: Four things come to mind: 1) peg boards for storage of tools - easy to locate and up off the work surface when not needed, 2) Clear storage containers for components, inventory, and show supplies for easy identification of contents, 3) Separate storage areas for metalsmithing and glass supplies, books, components, etc. – don’t have to dig through a pile of mixed media to locate what you are looking for, 4) White board in highly visible location to track shows, deadlines, things to order, etc. 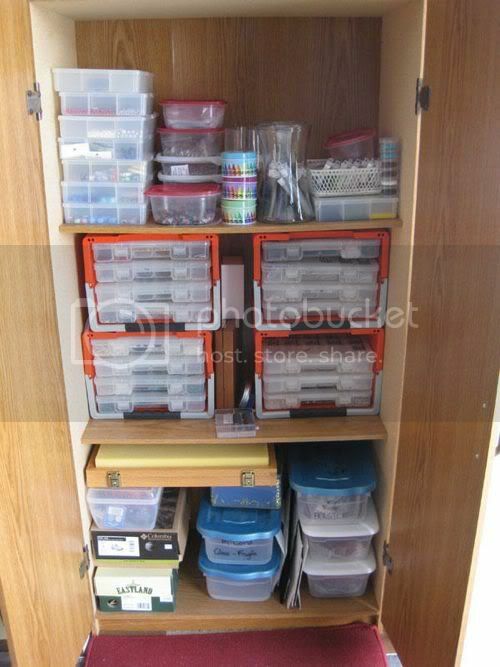 FSS: What’s your biggest issue with storage/organization/design? 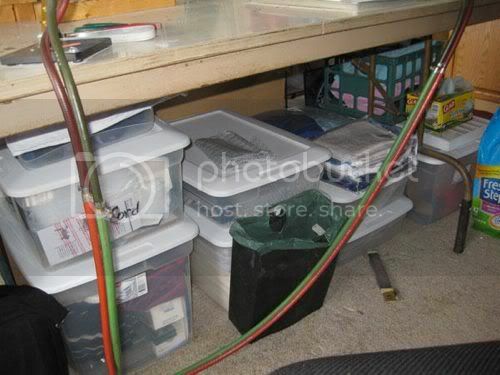 EB: Too much crap, too little space! We cannot afford the luxury of leaving things out and not taking the time to put things back in their proper place after using. At least for Evie, clutter can overwhelm, stifle creative urges, and put her in a tizzy. FSS: Level of importance: design aesthetic or functionality? 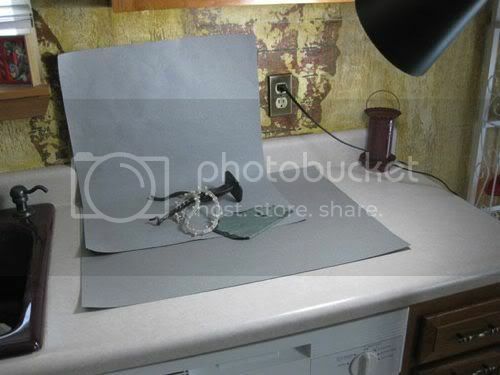 EB: Because we converted the garage into a studio, the aesthetics came first. Evie painted the garage, put up border, hung pictures and German memorabilia before the studio was put into place. It was very important to Evie to be welcomed home when the garage door went up. Functionality is now paramount. FSS: Is there something that you constantly have to work on overcoming and what have you done/do you do to rectify this situation? 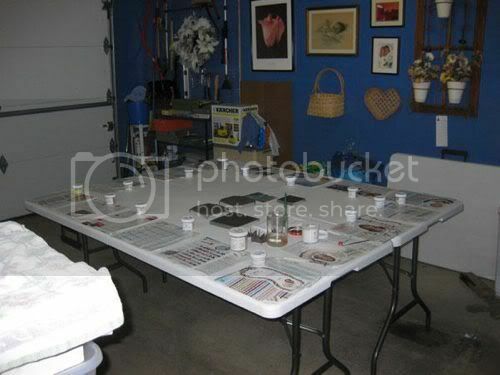 EB: Half of the garage is not a large enough area for the studio when we are having an enameling session. We pull Evie’s car out of the garage, set up 2-3 6’ folding tables and enamel in the round. When we are finished enameling, everything has to be cleaned up and taken down. When we are tired, this is not the ideal. 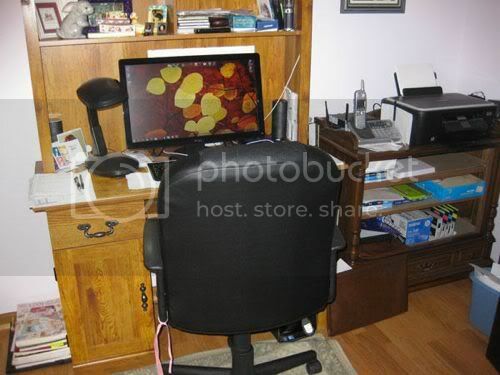 The computer area is inside the house. In the winter, staying warm in the garage is a challenge. 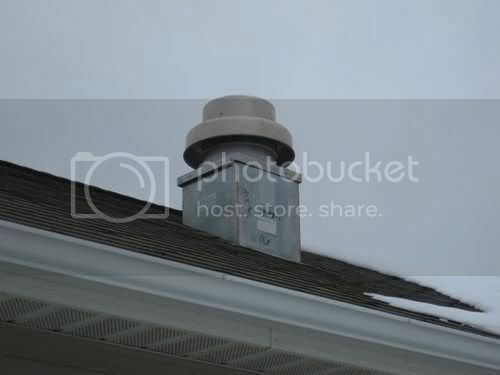 The garage and garage door are insulated, but when the exhaust fan goes on, fumes as well as heat are sucked out. 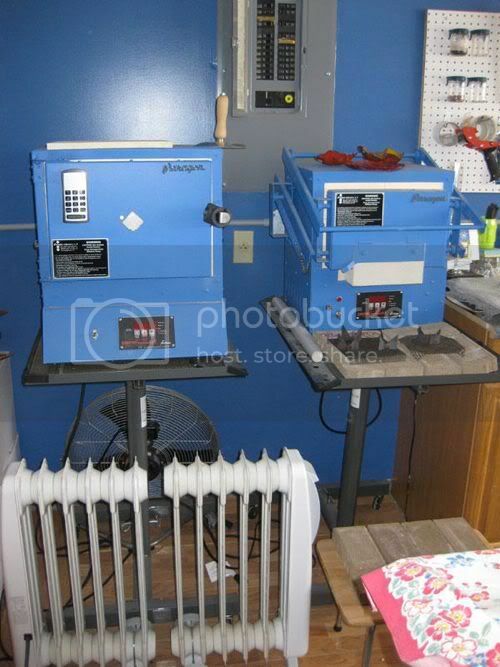 We use two space heaters to build a little area for the enameled copper to cool down at a slower rate when taken out of the kiln, but it doesn’t do much to keep us warm. We have an old carpet and padding on the garage floor, but our feet, even in boots and heavy socks will get cold. After a few hours, with the kilns and heaters blasting away, we can usually get the temperature between 40 and 50 degrees. Multiple layers are the norm for the winter – hood optional. In this picture, it was 20 degrees outside, and the best we could do inside was 30 degrees! Differences in work styles are issues we continue to struggle with. 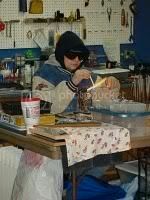 When Beth is flameworking, she likes to have anything and everything she might possible need when working close at hand, and does not put everything away when a session is finished. Evie prefers the work area to be picked up and wiped down ready for the next session or to use the work surface for another project. Solution: Evie tolerates the clutter as long as she can and then everything stops while she goes on a cleaning spree (also includes harping at Beth to put rods of glass and frit away, which she actually did a week ago). Evie meltdown usually happens once a month! FSS: Do you use/prefer/need artificial light or natural light? 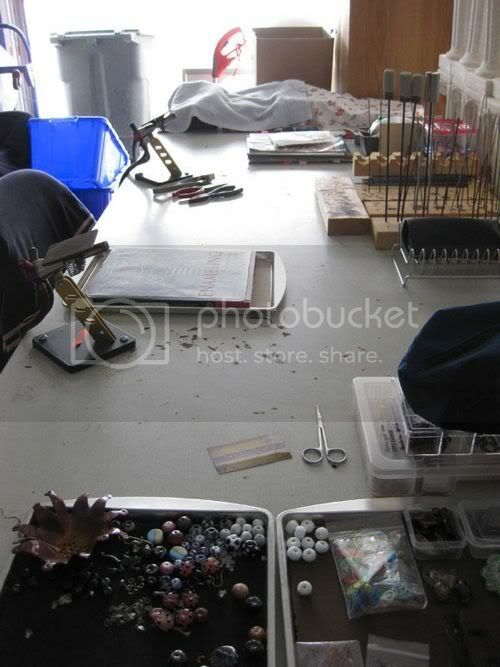 EB: We both prefer natural light for working in glass/copper, assembling jewelry and for photography. 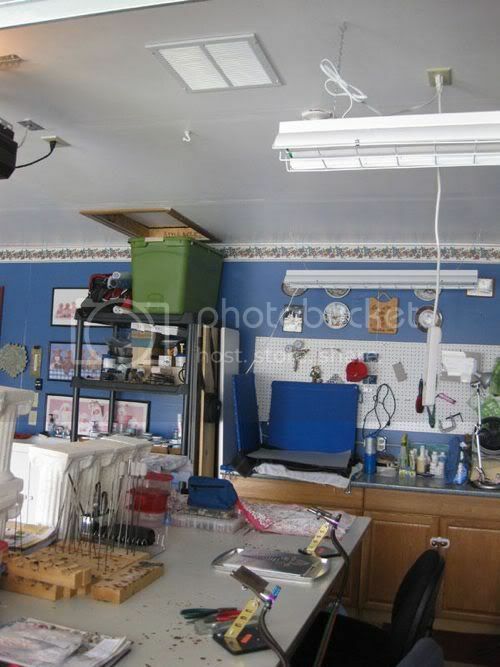 We have florescent lighting in the garage which can distort perception of color palettes. When the outside temperature allows we have the garage door open. Sometimes we set up a table for photography outside the garage. Evie also needs additional lighting (natural light lamp) when working inside the garage to compensate for “old people eyes”. FSS: Show me something unique/interesting about your studio. 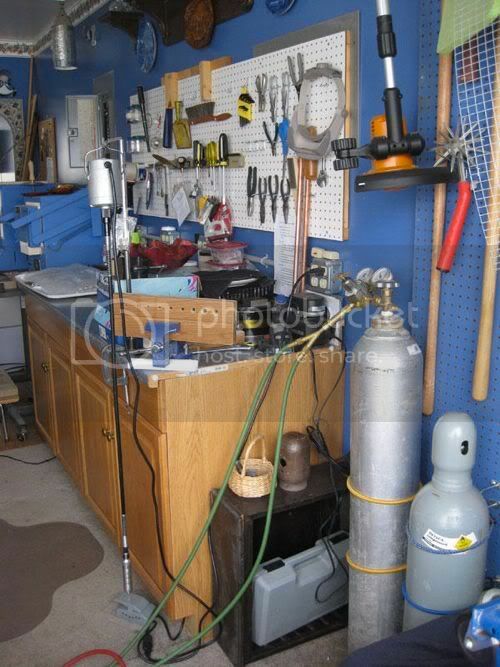 EB: Evie installed a $2,000 exhaust system in the garage to be used when we are torching or enameling. The exhaust system is right above the torches for maximum efficiency. FSS: How has your creative space evolved over time? EB: Initially we rented torch time and kiln time at another location. 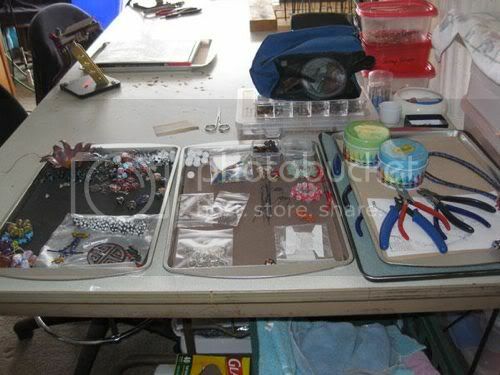 We assembled jewelry on a card table (3’x3’). 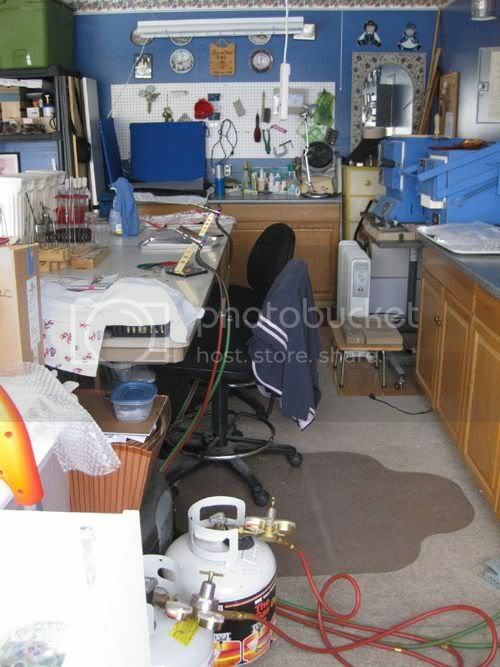 Now we have our own torches, kilns, metal cutter, flex shaft, glass/copper/enamel supplies, multiple work surfaces, and office equipment (computer, printer). The Internet now plays a large role in our operation. FSS: How has having your own creative space affected your work? EB: For Beth, unfortunately, the studio being at Evie’s house is not always convenient if she is having an urge to create at an odd hour. She would have to get dressed, get in the car, and drive to Evie’s house – a real creative urge killer! Thank you to both Beth and Evie for allowing this little visit and peek into their creative space. 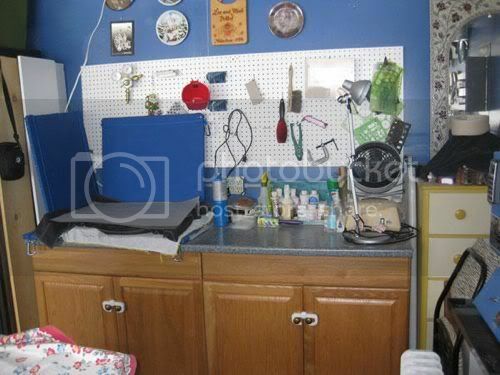 Interested in showing your studio space? Simply click on that little contact button in the sidebar and let me know. It is amazing what we will do to create and find creative space! I am loving the picture of working with the jacket on!!! That's basically what I have to do in the spring once day temps go up a bit I can work in my small sunroom - I really miss it during the winter and it's such a pain going back and forth for supplies! Love these two! 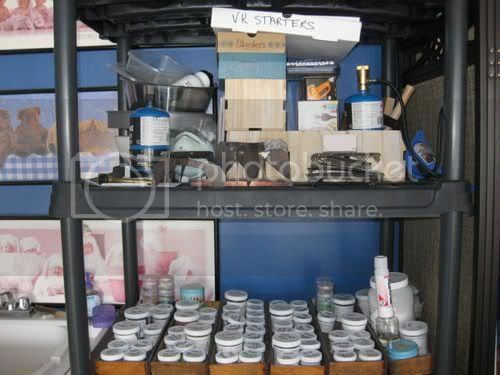 Wow, their art requires a lot of equipment and supplies! 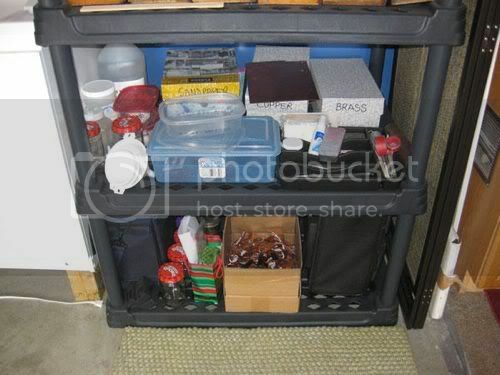 Great use of space and storage containers. I like the idea of a white board to keep track of ideas and inspiration. It seems like we all struggle with clutter and enough space. I LOVE seeing other lampworkers studios and how they use their space. Beth and Evie certainly have more space to spread out than I do, but I wouldn't trade my cramped studio inside for working in 30 degree temps again. Too cold! Wow! That art sure requires a lot of work and equipment. What dedication you have! Your work is beautiful! Great interview, Lori.